I recently posted an idea in the “Idea Mill” for Gwibber which is a social client for GNOME developed with Python and GTK+. My idea is to evolve My.Opera from a traditional web browser based social community to a client based community so that users can quickly and effortlessly update their status, reply and receive private messages, follow community updates and more. This project will require a large effort to get going from the start, but would help the My.Opera community grow by making the service available to a larger crowd. The current problem with My.Opera is that it depends on a community of Opera enthusiasts. Lets face it, Opera has a very small market share when compared to the current leading browsers. If the community is to truly succeed it would make more sense to remove the requirement of being an “Opera fan” and focus more on making the service a social success such as Facebook or Twitter. 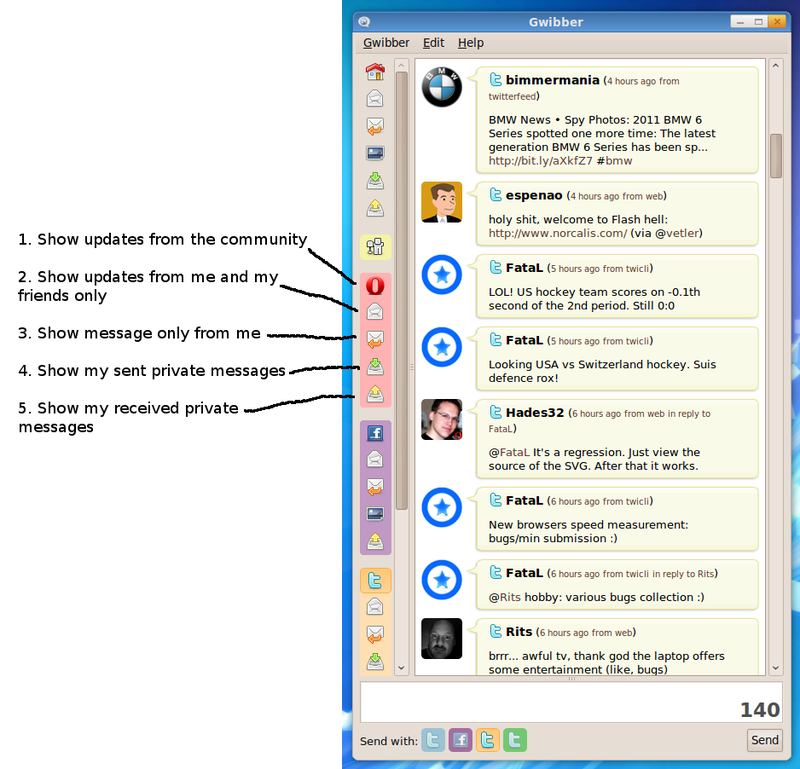 With my idea, My.Opera could integrate with applications such as Gwibber and TweetDeck to allow users of the online service to easily follow others, review and update their private messages, keep track of community updates and stay updated in general with the activities available at My.Opera.com. As you can see, My.Opera would be able to attract users in a fashion nearly identical to that of Twitter with features that already exist and have existed for some time now. The only current setback….My.Opera doesn’t offer an extensive API to make this idea possible. While they do have some API support in place, they lack what is needed (AFAIK) to make this support possible without fetching and parsing pages designed for a web browser. The inclusion of this support would be very beneficial to My.Opera, especially when Ubuntu 10.04 is release with default integration with the social client Gwibber. Making this giant step into the micro-blogging and “friending” era via clients would also be very beneficial to Opera Software ASA‘s business model. With more people joining the My.Opera community (after seeing the service support in Gwibber and other clients) the number of people exposed to the Opera browser would be fantastic! This could potentially be a game changing move for Opera and it would be wise to take advantage of it as soon as possible with the current popularity and high demand for social micro-blogging services today! If you’re a frequent My.Opera user and you’re interested in this idea for Gwibber and potentially other social clients, please cast your vote to show support and let the My.Opera community developers know that you’re interested!